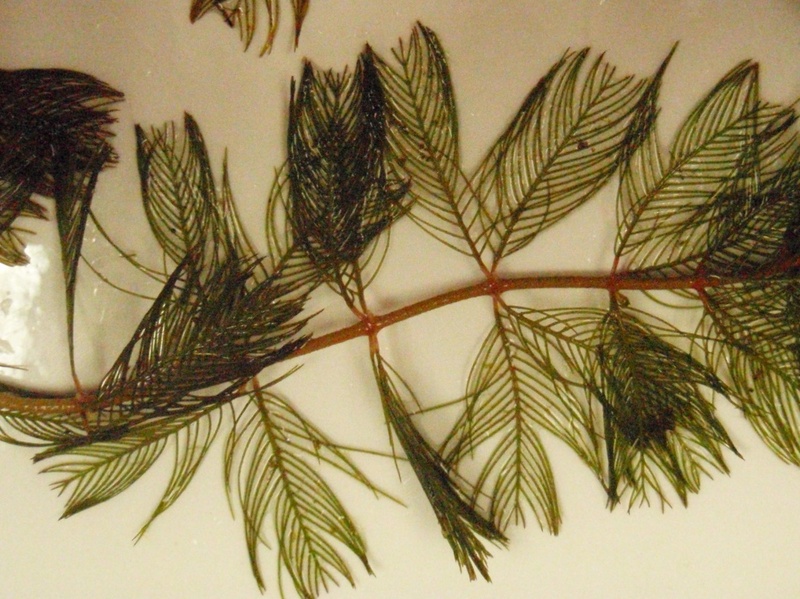 Eurasian water milfoil is a submersed aquatic plant that is native to Europe, Asia, and northern Africa. It was first documented in the United States in 1942 and arrived in Wisconsin in the early 1960’s. It was likely introduced in the aquaculture or aquarium trade. It spreads lake to lake by fragmentation and is often moved as a hitchhiker on boats. These plants can cause many negative impacts including fowling boat props, interrupting navigation, hurting native plant communities, and the visual aesthetic lake value.